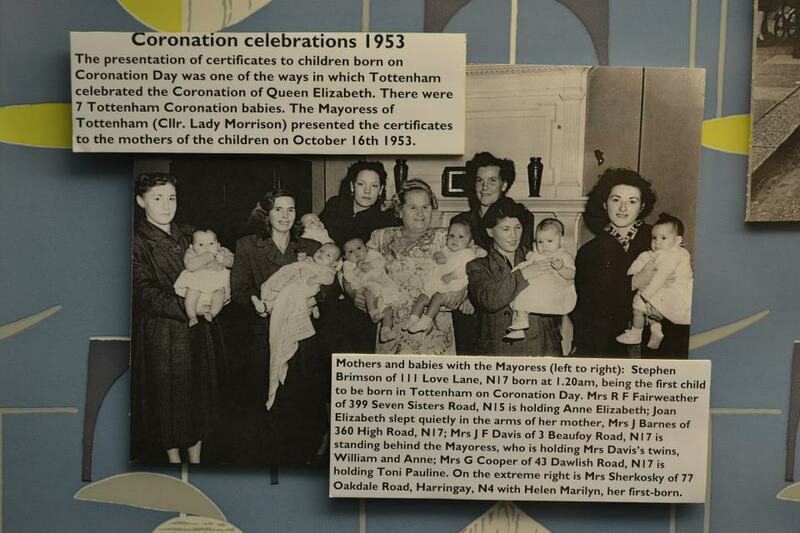 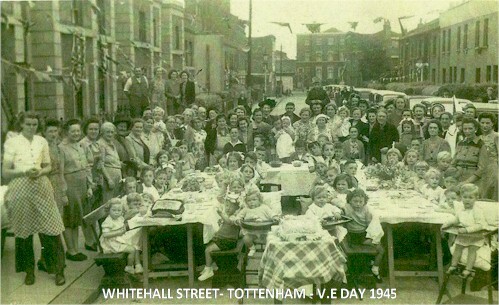 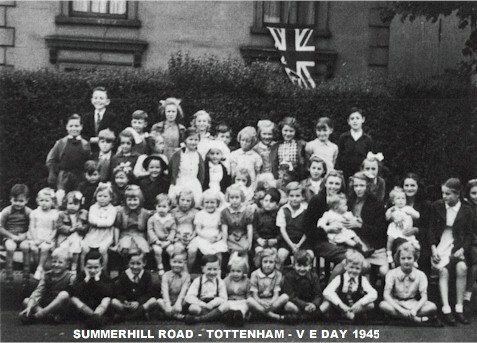 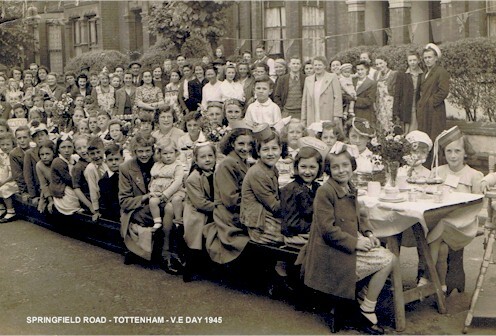 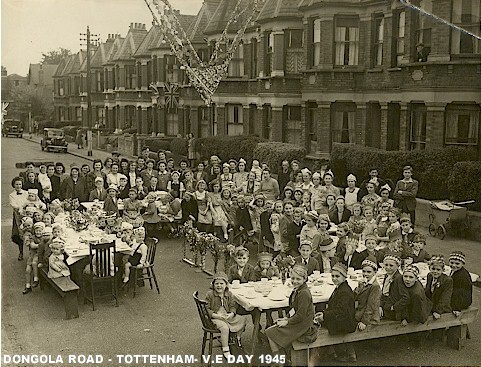 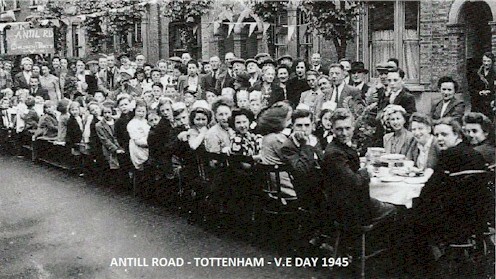 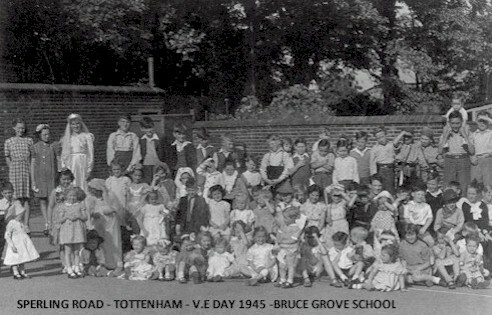 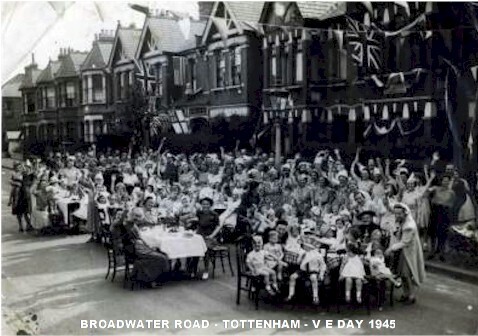 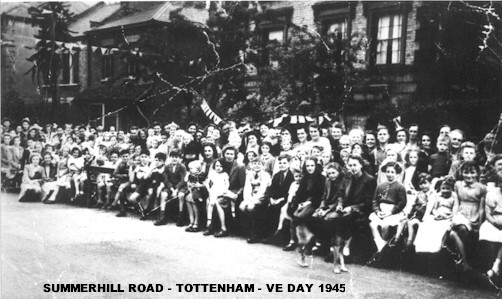 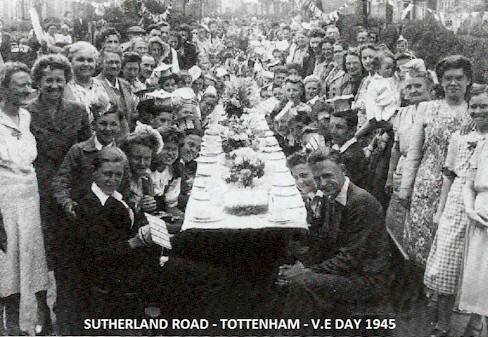 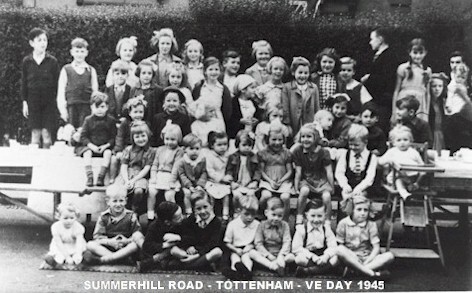 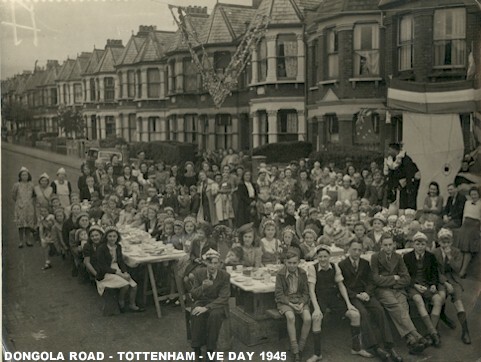 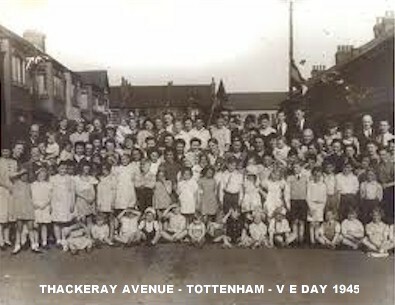 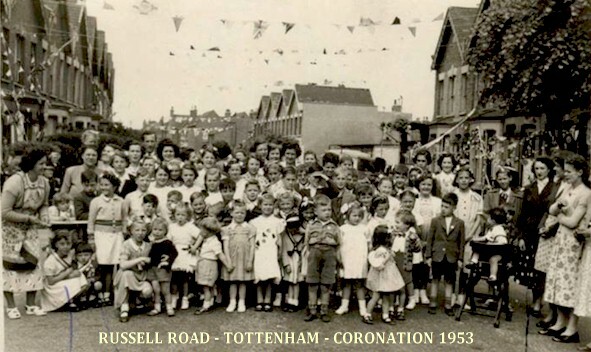 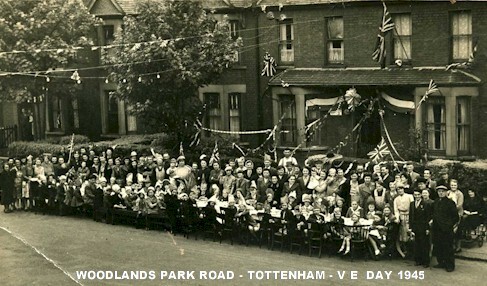 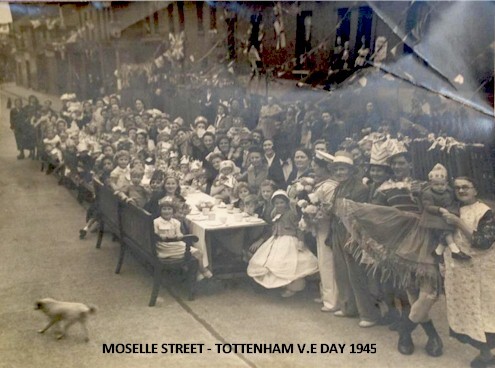 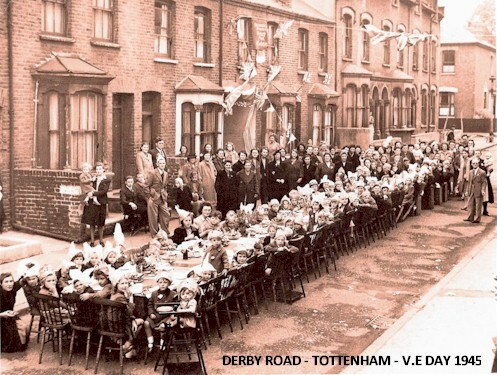 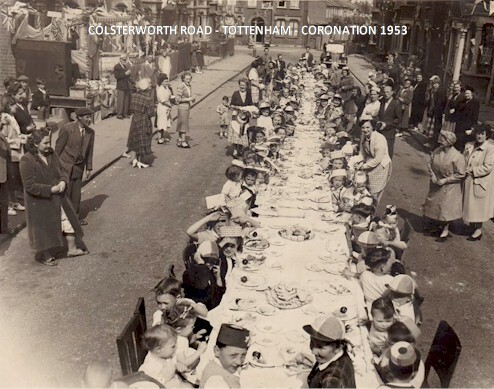 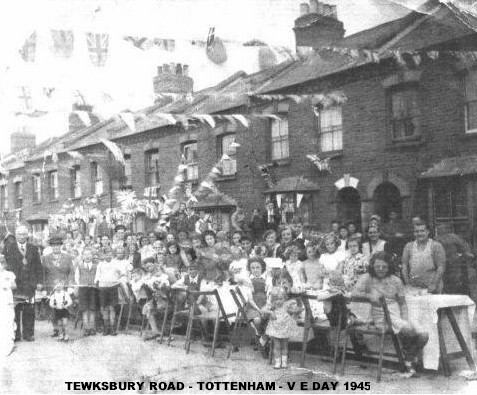 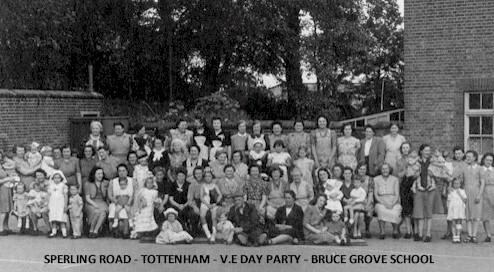 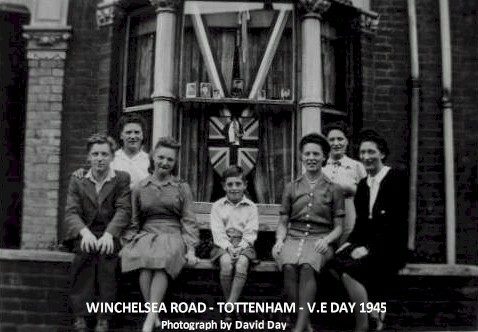 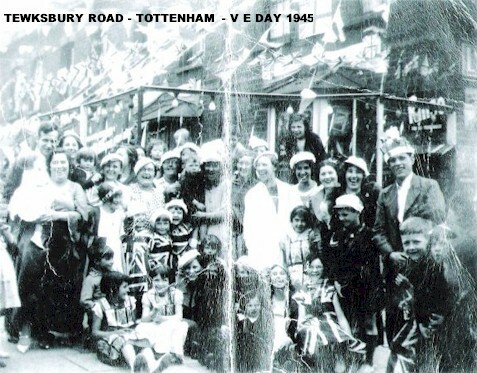 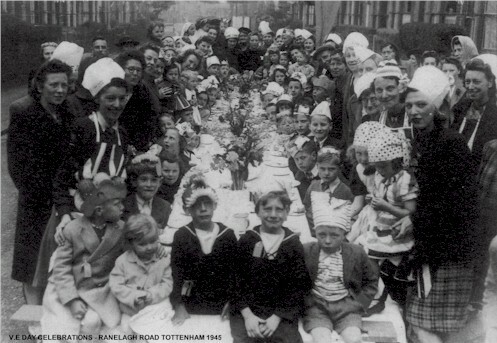 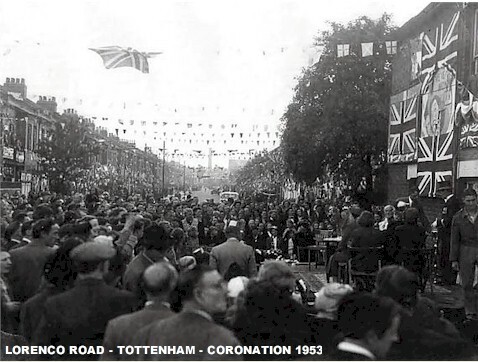 Like many towns and cities across the nation the residents of Tottenham celebrated in the streets for two of the most memorable occasions in the 2oth Century. 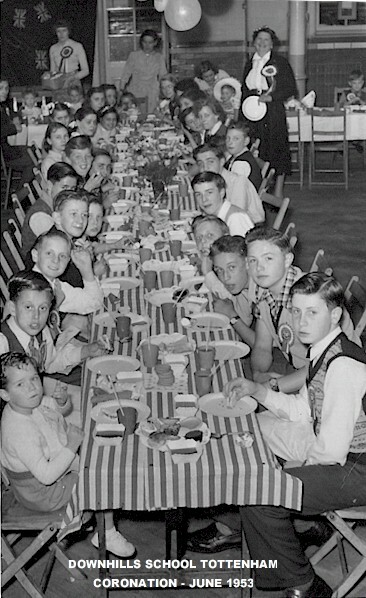 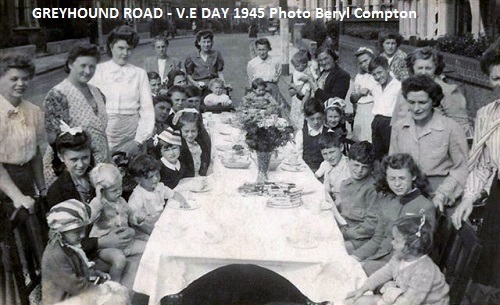 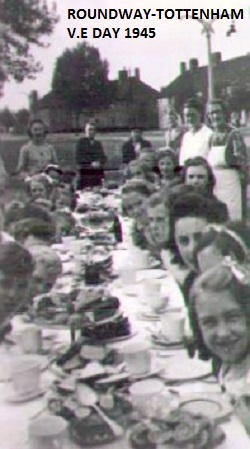 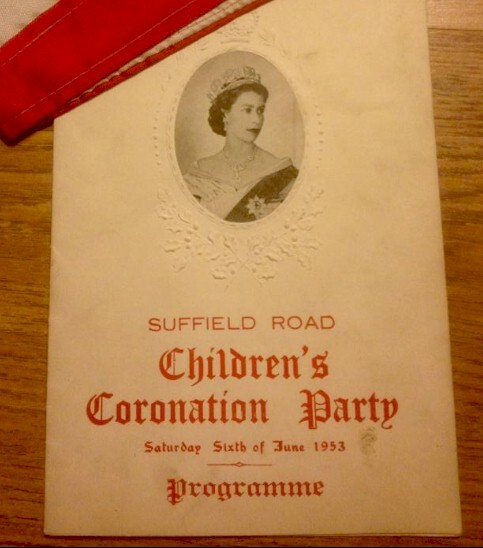 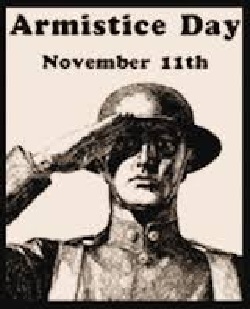 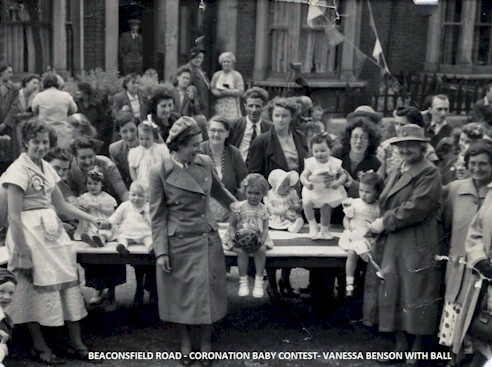 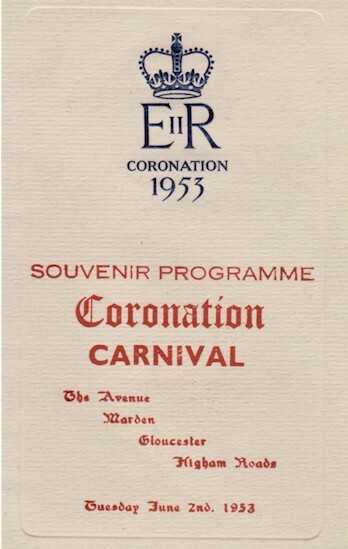 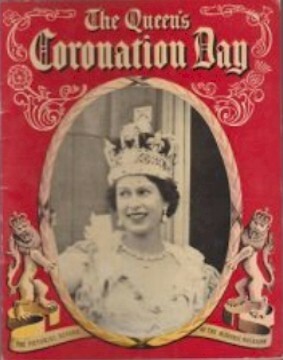 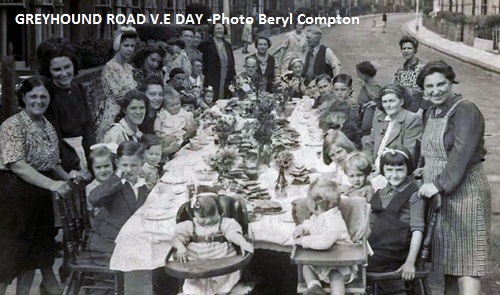 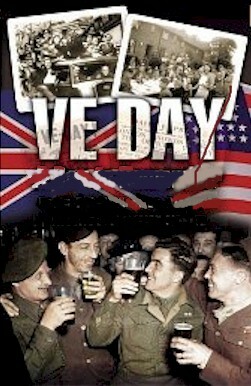 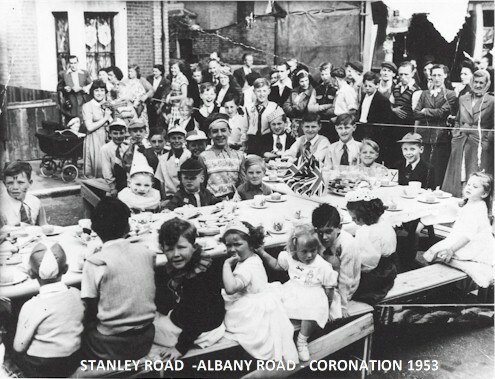 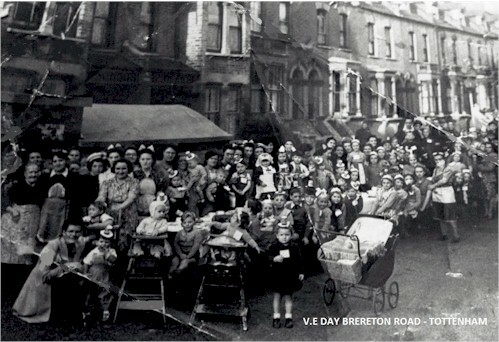 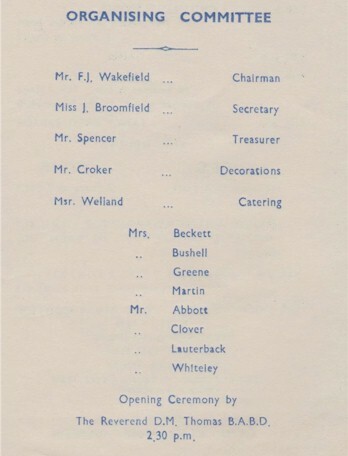 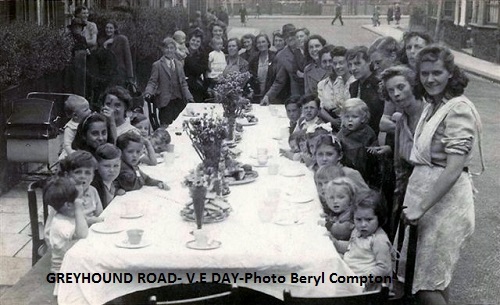 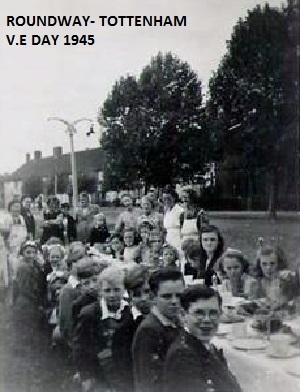 The end of hostilities in WW2 and the Victory in Europe (V.E DAY) celebrations in 1945 followed in 1953 with the celebration to commemorate the Coronation of Queen Elizabeth II. 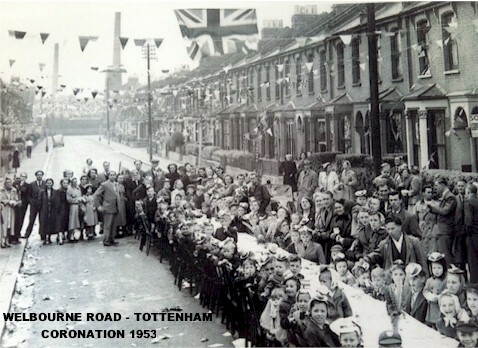 Here are few photographs that capture these moments in Tottenham's history. 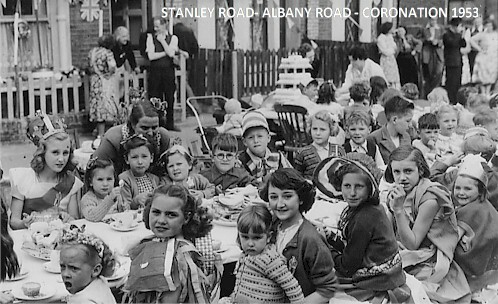 Should you have any photographs from your streets then please do get in touch and let us have copies to add to the collection. 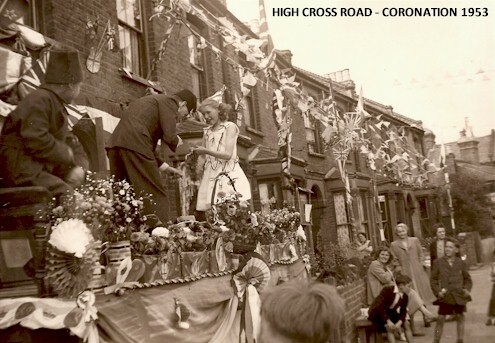 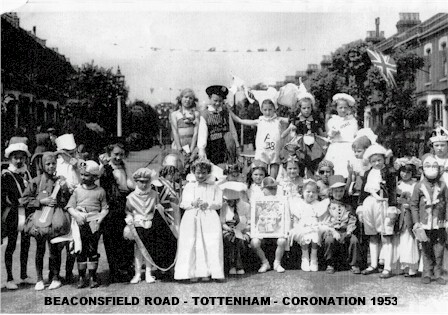 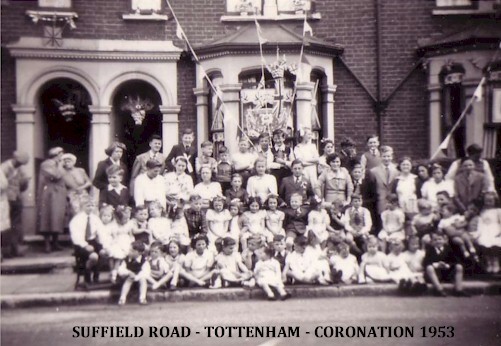 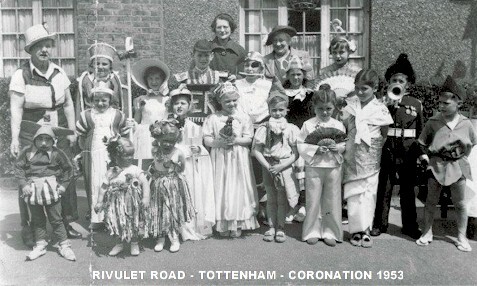 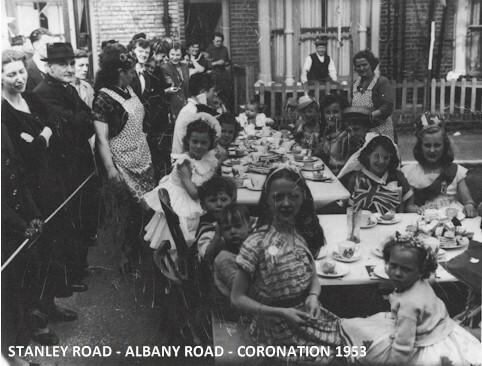 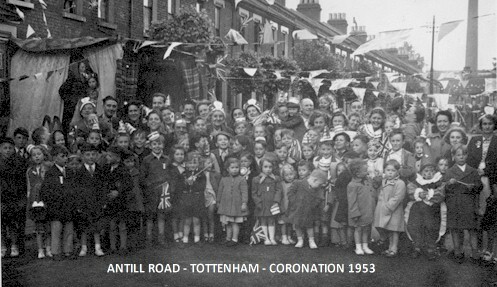 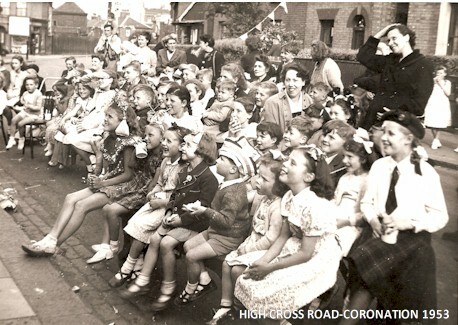 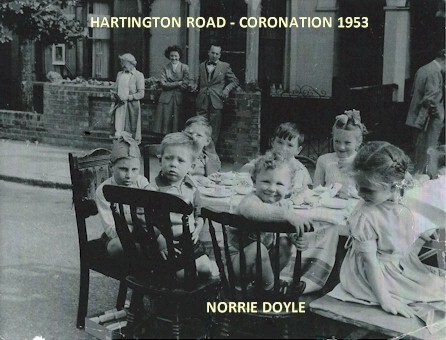 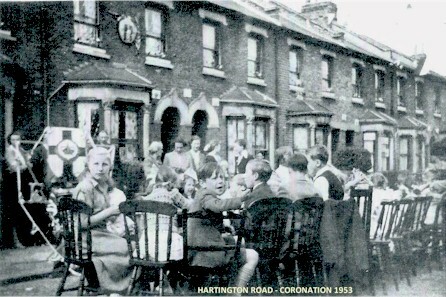 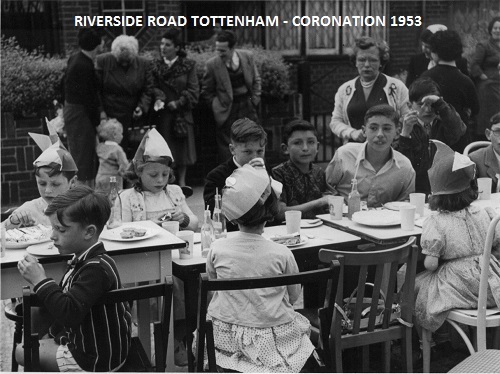 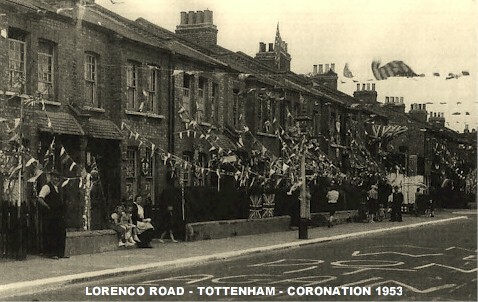 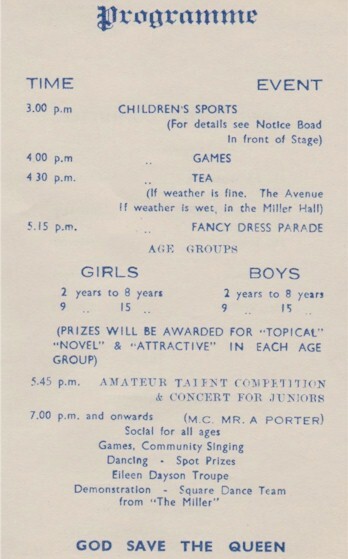 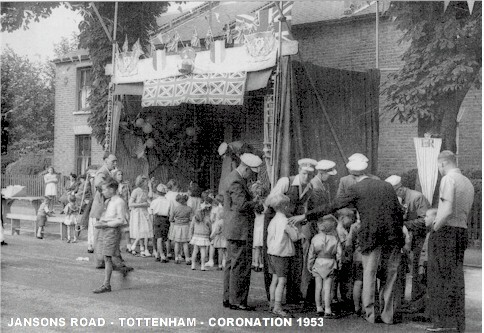 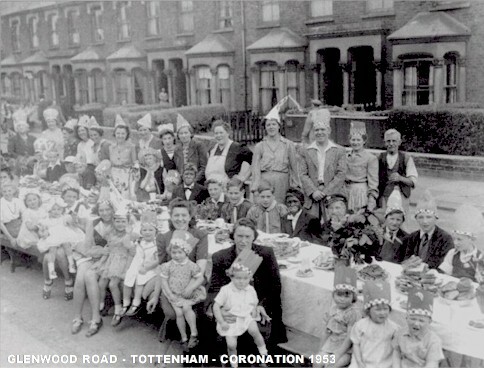 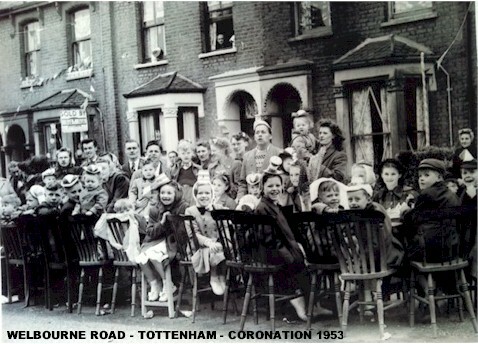 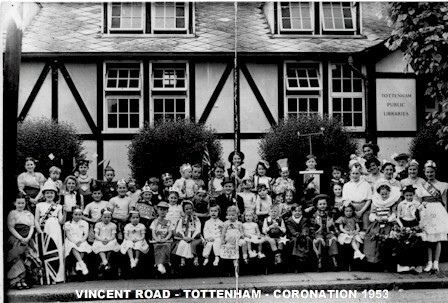 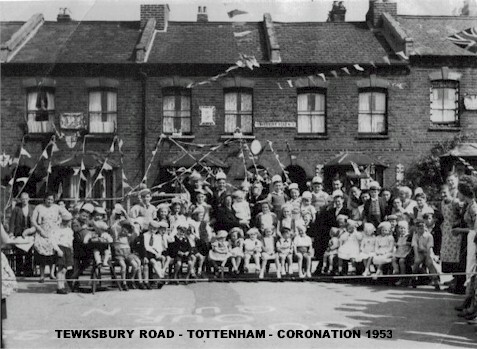 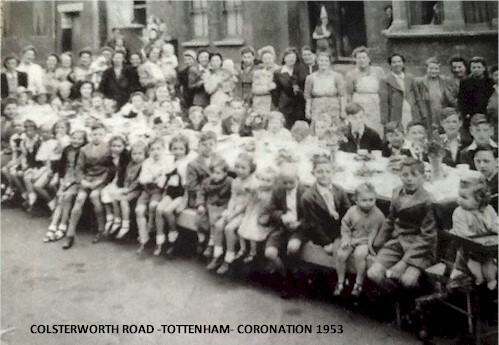 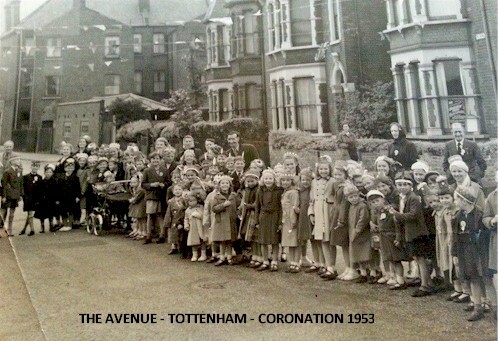 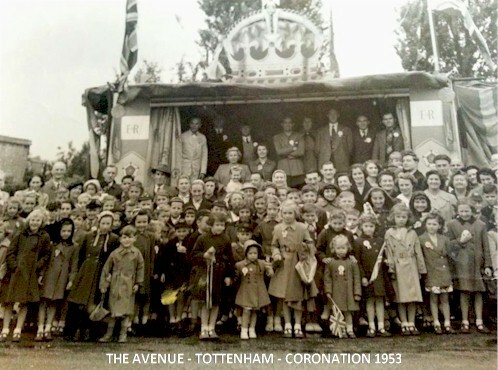 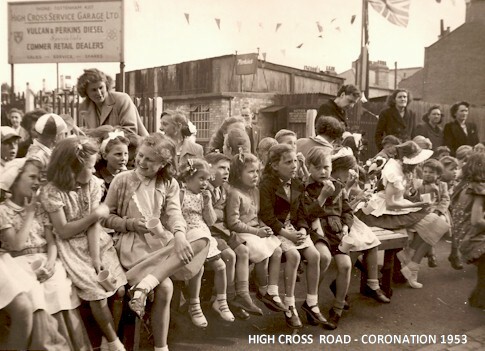 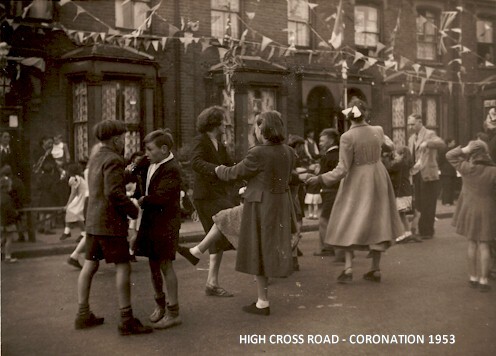 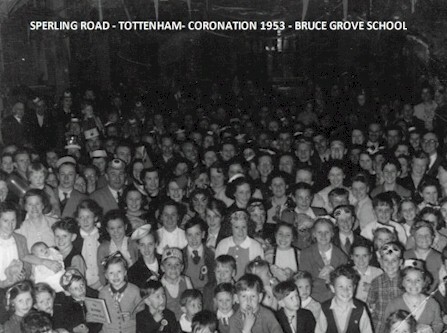 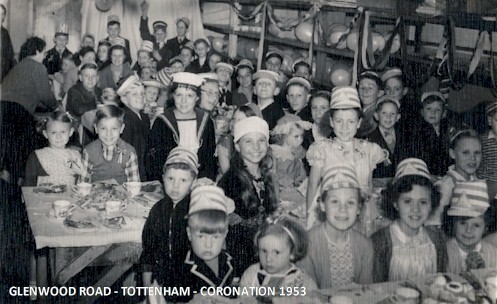 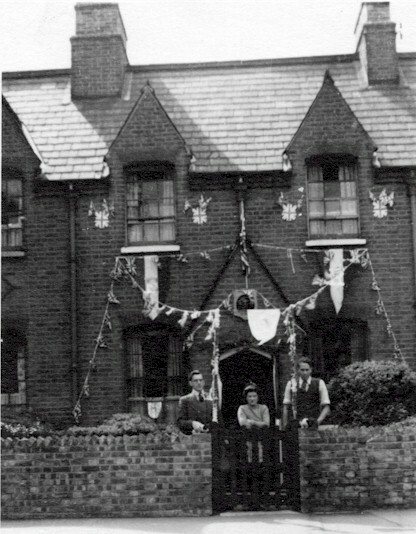 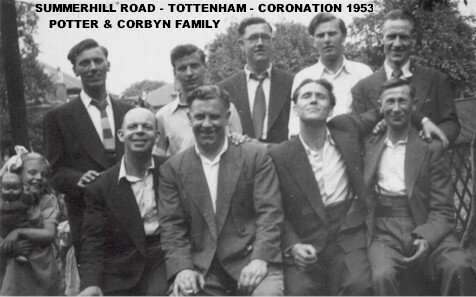 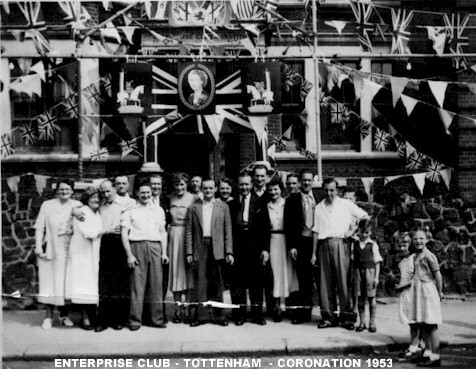 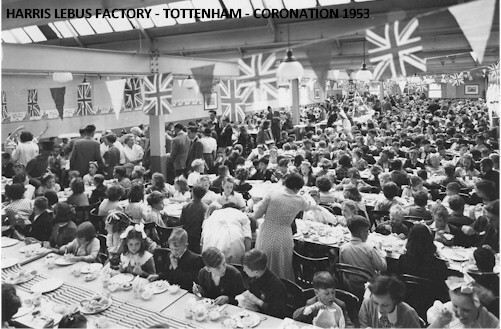 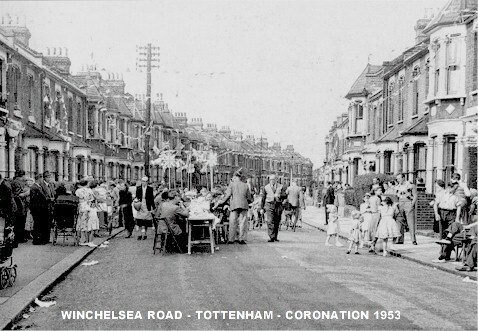 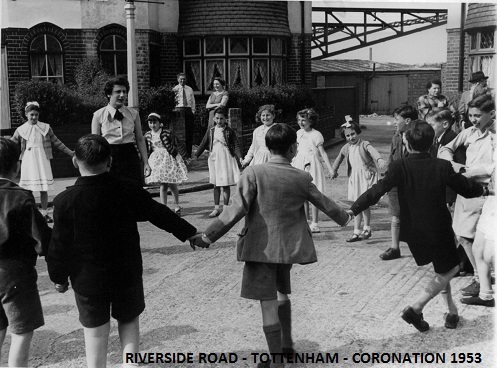 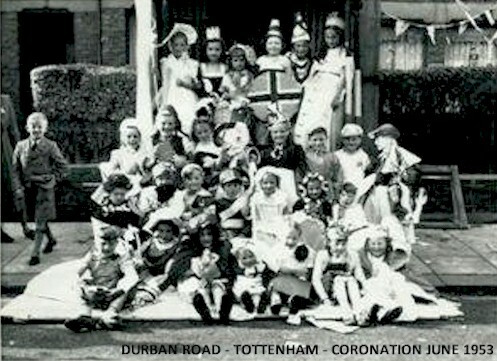 The Hartington Road Tottenham photographs of the Coronation in June 1963 have been reproduced courtesy of Norrie Doyle. 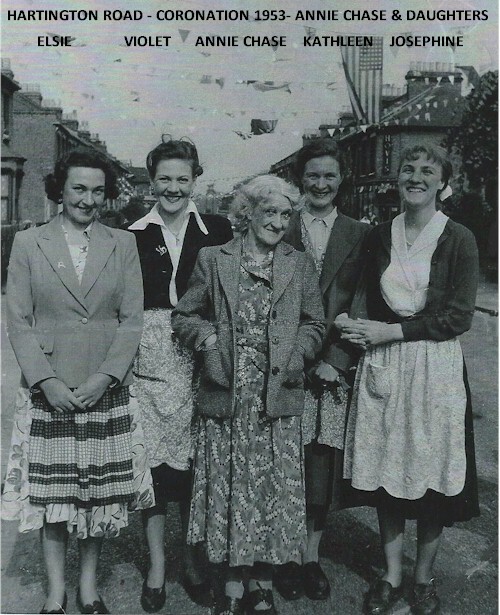 Pictured left is a photograph of his Grandmother Annie Elizabeth Chase with her four daughters which included Norrie's mother Kathleen. 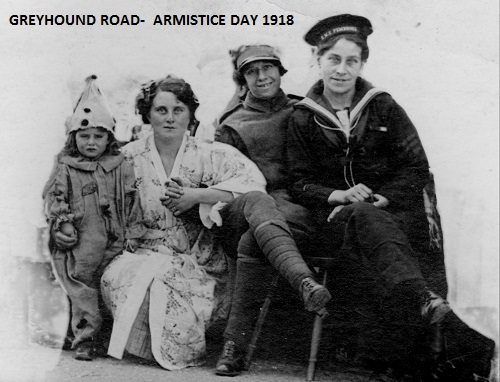 CLICK HERE for a direct link to Annie's story. 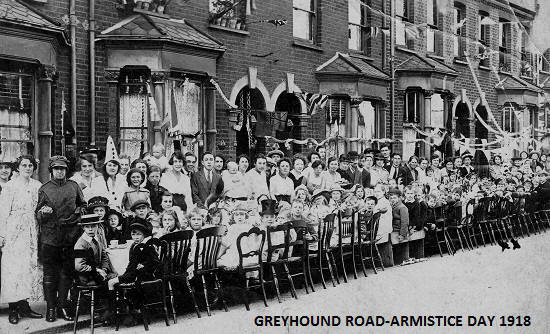 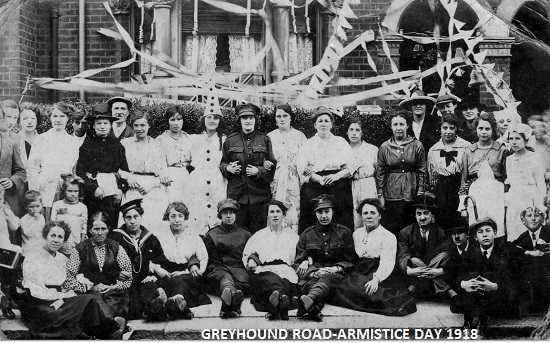 Added ARMISTICE DAY 1918- Greyhound Road -January 2017 - Photographs courtesy of Ken Haynes.